Choose your batteries from the list below and enter the quantity required in the box and click 'Buy Now'. Please Note: Hearing aid battery brands may differ to those pictured. 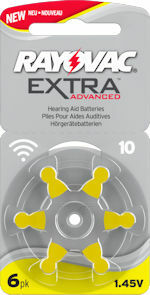 10AE (YELLOW tab) hearing aid batteries. 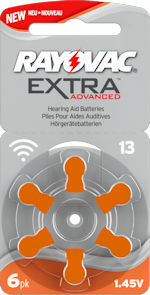 13AE (ORANGE tab) hearing aid batteries. 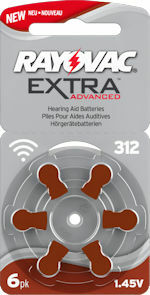 312AE (BROWN tab) hearing aid batteries. 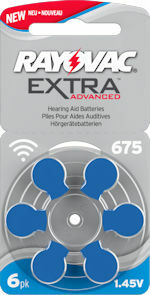 675AE (BLUE tab) hearing aid batteries. Refer to the documentation that came with your hearing aid to determine which battery size is right for your aid, or consult your hearing care professional. Battery sizes are standardised across the industry, although manufacturers may name their products differently. Most manufacturers use the industry-standard colour code which can usually be found on battery tabs and packaging.